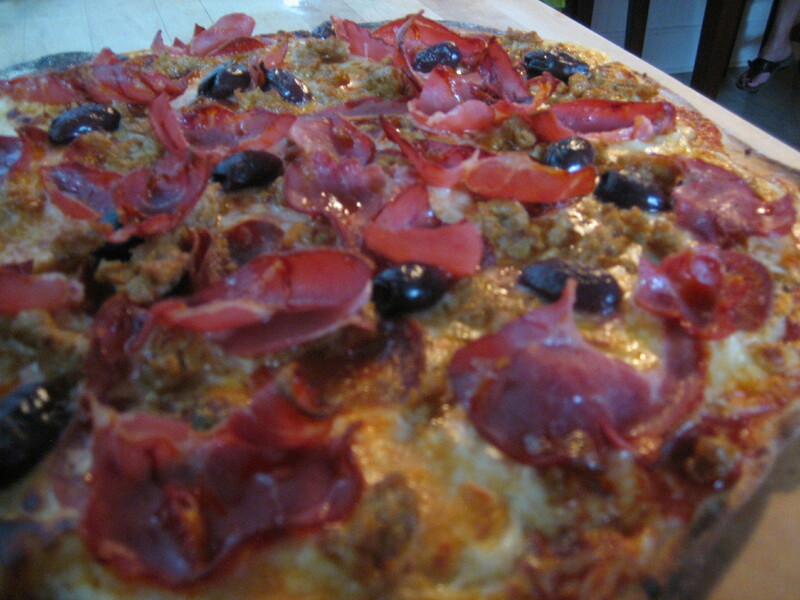 In addition to preparing a special pizza for my Uncle Oak I prepared a pizza recipe with my Aunt Bevy in mind. 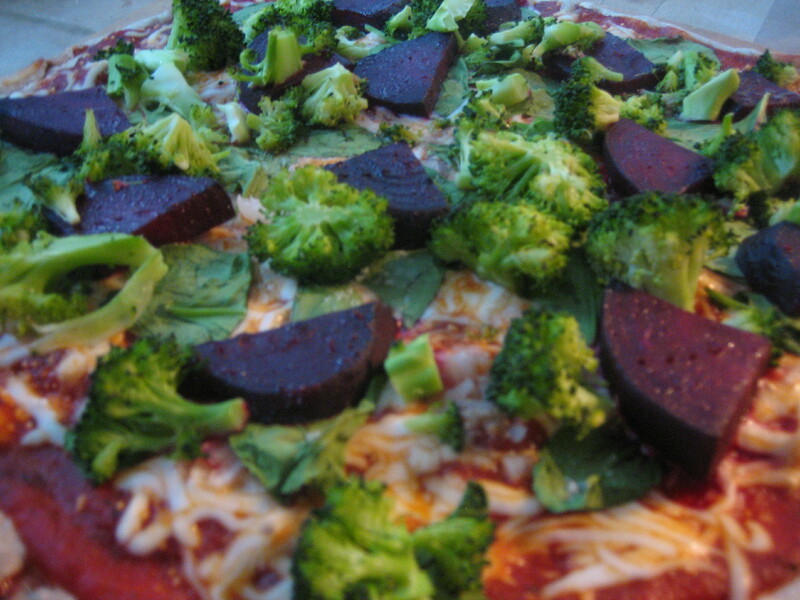 Bev loves fresh vegetables so I decided to create a summer veggie pizza recipe that would be light and fresh. My mom brought cherry tomatoes and basil from her garden. I sautéed baby portabellas and scallions in a pan with canola oil. After I spread on a thin layer of marinara I sprinkled on freshly shredded Fontina cheese and then the toppings. 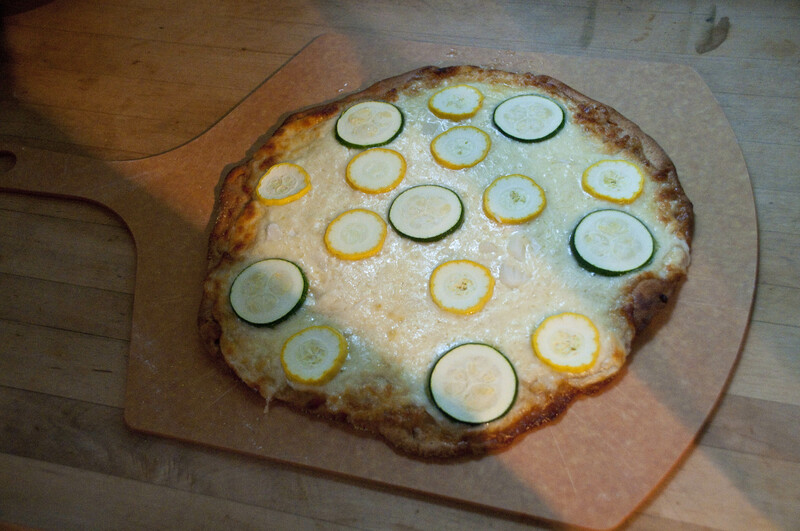 Rather than use the pizza stone, I prepared the summer veggie pizza recipe to bake on a metal pan, which resulted in a light and fluffy crust. 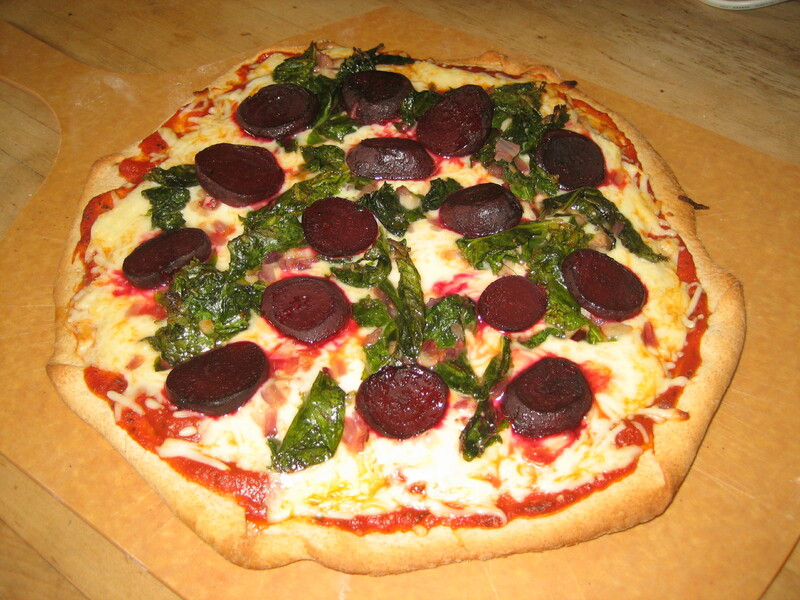 This pizza was delicious and tasted very fresh and healthy. Rachel Ray is one of my most significant cooking influences. She seems down to earth, she makes mistakes and laughs about them, and most importantly, she makes really good food. I am most often impressed with how Rachel takes one meal and turns it into another. For example, one time she took a Sloppy Joe recipe and created a Manicotti Bake! 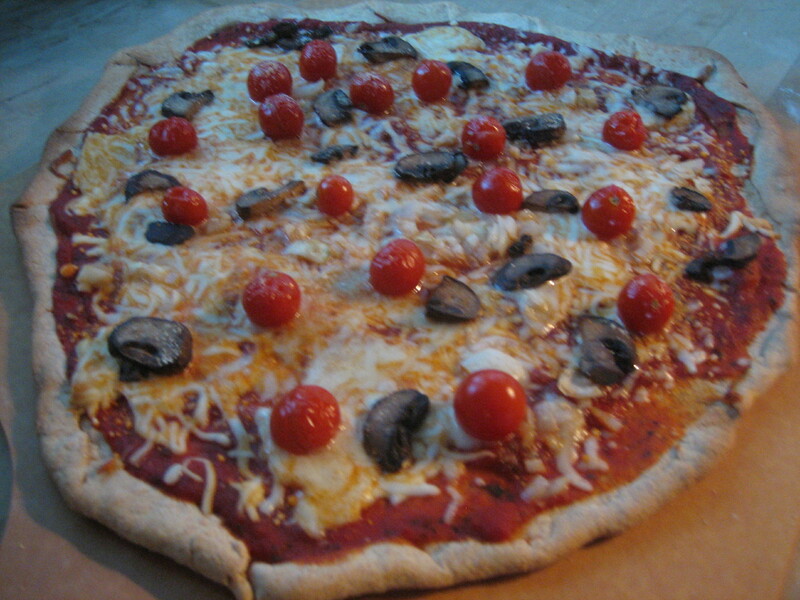 Rachel has inspired me to turn a number of traditional recipes into pizza during my 52 Pizzas project. This week I took Rachael Ray’s Bacon, Lettuce and Fried Green Tomato Sliders (BLFGT Sliders) recipe and made it into a delicious pizza. I varied Rachael’s recipe some, but kept the bacon, burger and fried green tomatoes consistent. Green tomatoes were in our food collective contents this week and I was excited to make fried green tomatoes. Following Rachael’s instructions for frying the tomatoes was pretty easy as were the instructions for the burger part. However, I cooked the meaty mixture in a pan rather than molding it into burger shapes. 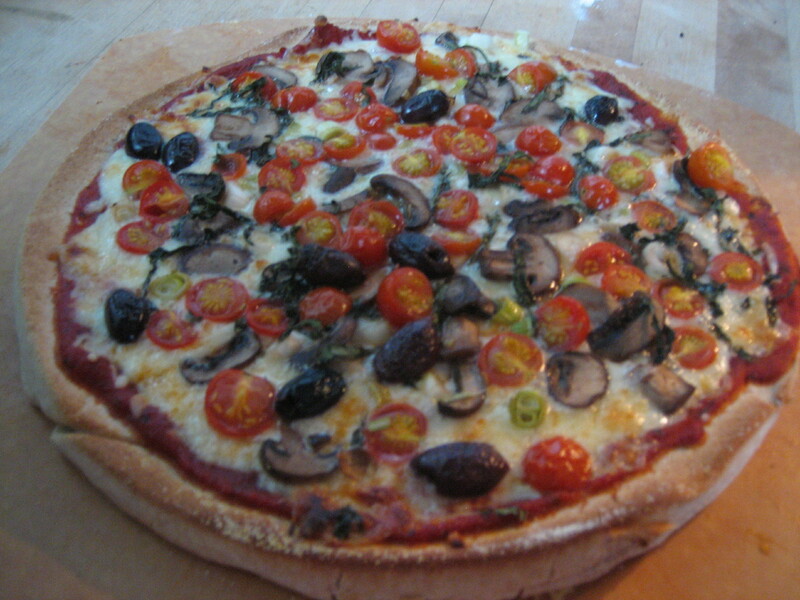 I mixed salsa with my favorite store bought marinara and spread it on the dough. 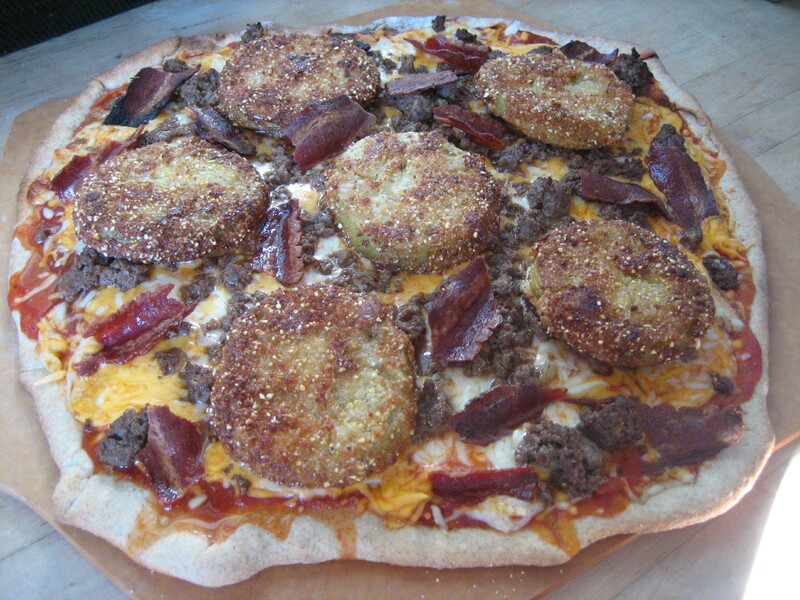 Then I sprinkled on mozzarella and cheddar cheeses, loaded on the burger mix, fried green tomatoes and lastly the bacon. This pizza was definitely a success! The fried green tomatoes were delicious and Andrew and I have decided that bacon is one of our favorite toppings on pizza. All of the flavors together tasted fantastic, thanks Rachael!